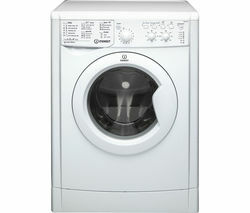 Indesit have a range of washing machines that will suit all situations and budgets. When it comes to laundry day, Indesit washing machines can save you time and energy with load capacities that are ideal no matter how much washing you need to get through. Indesit washing machines feature a host of extra functions as well as advanced technology to ensure every wash comes out spotlessly clean. When you’re in a rush, take advantage of a shorter spin cycle and if you have a big family you’ll need all the help you can get, so choose an Indesit washing machine with a higher load capacity. You’ll find the chore of washing is greatly reduced when you have to do fewer loads. Indesit washing machines are fully programmable and allow you to tailor each wash to help you get the most out of every spin. Choose an economical short wash to save time, use less water and reduce the impact your wash has on the environment. 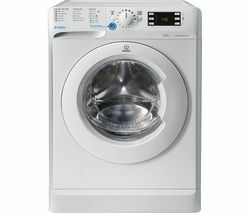 If you wash your clothes regularly you can save time by using the Push and Wash function of the INDESIT Innex XWB71252W. Simply hold down the Push and Wash button for two seconds and the machine will automatically start a 50 minute mixed wash cycle at 30°C. Choose an Indesit washing machine to save time and effort on your laundry days. Not after a freestanding washing machine? Take a look at our great range of integrated washing machines that will save you space and fit elegantly into your kitchen.